Storage Space – Every family needs storage. Whether you lack a basement or your basement and attic are overflowing with boxes, a detached garage makes a great storage space for items that just don’t seem to fit in the house. A garage also works well for storing sporting equipment and the kids’ toys from bikes and scooters to ball gloves, golf clubs and even hunting gear. Garages can provide a place for storing seasonal items when not in use such as pool equipment and patio furniture when the weather turns cold and holiday decorations. Add shelves and cabinets for organization. Lawn and Garden Shed – For those with a green thumb, there are always tools, supplies and other lawn and garden equipment that need to be stored rear round. A 1-car or 2-car garage offers a nice alternative to a backyard shed and features an overhead door making it easy to access big items like the riding lawn mower without a hassle. Furthermore, it is easy to add shelves or cabinets to accommodate small hand tools, flower pots, seeds and bulbs for your flower or vegetable garden. You might even want to add a planting table or utility sink. Workshop – The family handy man will know just how to convert a detached garage plan into a workshop. Garages make a great shop area providing opens spaces to work on large projects with plenty of room to store tools, lumber and other supplies. They even offer enough space to add a workbench or table. Furthermore, there is no need to clean up your home repair project every time you work on it. A workshop will allow you to leave the project in progress and come back to finish it later. Plus, you’ll have peace of mind knowing you can lock the garage keeping the kids from wandering inside and possibly harming themselves with sharp tools or heavy items. Hobby Room – Hobbyists, crafters and woodworkers often need a large workspace to work on various projects that can be dirty, create a lot of dust or require a large layout space that a room in the home or the basement can’t provide. Building a detached garage plan for a hobby room keeps the mess outside and provides the hobbyist a space all his or her own to work on projects without disturbing the family or creating unwanted noises and messes inside the house. 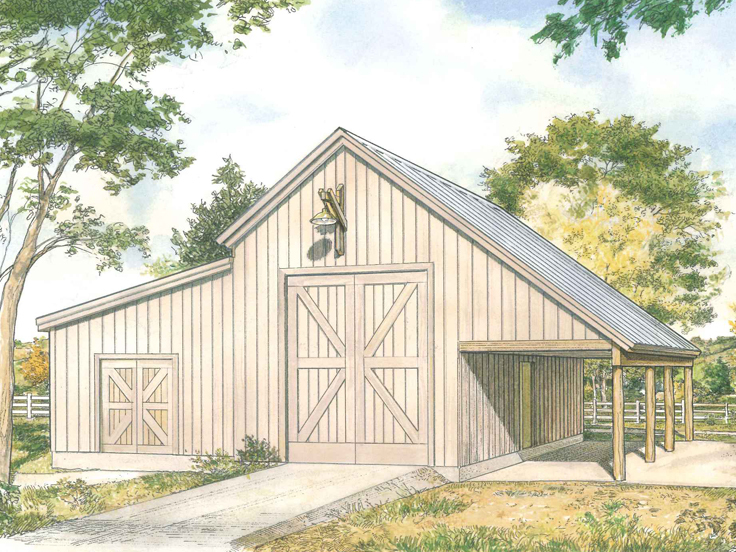 Garage plans offer more than enough storage space for tools and supplies. Add good task lighting, a workbench, table or other work surface and you’ll be ready to go! Mechanic’s Garage – Auto mechanics and car enthusiasts might like a detached garage for working on cars rather than just protecting them from the elements. Furthermore, these people have a lot of tools and auto parts. Many designs include storage closets providing a great place to keep these items out of a child’s reach. 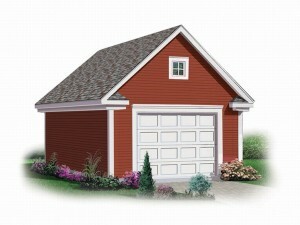 Detached garage plans a very versatile and flexible accommodating many different needs. 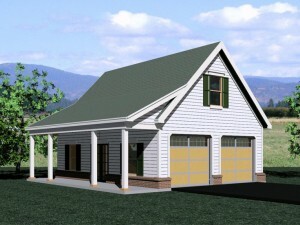 What can a garage plan do for you? 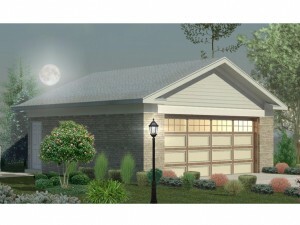 Browse garage floor plans at The Garage Plan Shop now. Garden shed – You’ll have plenty of room for all your gardening supplies whether you have a vegetable or flower garden or just a beautifully landscaped yard. Store flower pots, potting soil, fertilizer, seeds and bulbs, shovels, rakes, hoes and other gardening tools. Store garden hoses and sprinklers throughout the winter months. Adding cabinets improves organizational space and a potting bench or planting table provides a work surface. Lawn equipment shed – Safely store everything from the lawn mower and leaf blower to hedge trimmer, rakes and more. Consider tall cabinets or lockers to accommodate long/tall items, and remember to install locks if small children are present. Tool shed – Auto mechanics and tinkers will have a place to organize and store everything from car parts to power tools. Look for sturdy toolboxes or those on rollers for convenience. Heavy duty shelving units are good for storage as well. Keep everything for dirty jobs outside the house. All-purpose storage shed – The average American family has a wide variety of things to store that might not necessarily belong in the home. Use a detached 1-car garage for outdoor equipment like storing the patio set during the winter or providing a safe place out of the elements for “outdoor toys” like bikes, skateboards, kayaks and all the gear to go with them. Cabinets and storage lockers of various sizes easily accommodate fishing poles, tennis rackets, bike helmets, life jackets, baseball bats and so on. Garage – You might not need a place to park the car, but you might need a place to store other motorized items like a golf cart, ATV, jet ski, motorcycle or small boat. Your driveway won’t be cramped with all these extra items and they will be safe from the climate and weather when you aren’t using them. If you need extra storage for all your belongings, browse detached 1-car garage plans. You are sure to find just the right one to accommodate all your storage needs.